We are an ISO 9001 certified calibration laboratory for sound and vibration instruments. 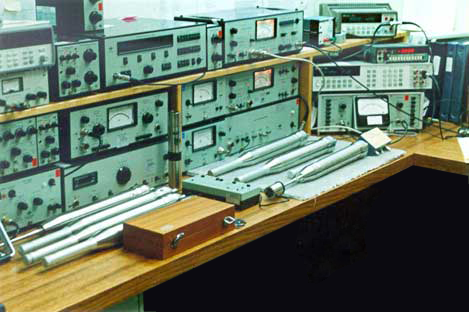 We specialize in the calibration of Brüel & Kjær instruments and sound and vibration products from several other manufacturers including GRAS, CEL, ACO, Cirrus, Larson Davis, Quest, PCB, Kistler, Endevco, and Dytran. We also offer pre-calibrated rentals of Brüel & Kjær instruments, including sound level meters, vibration meters, calibrators, and noise dosimeters.